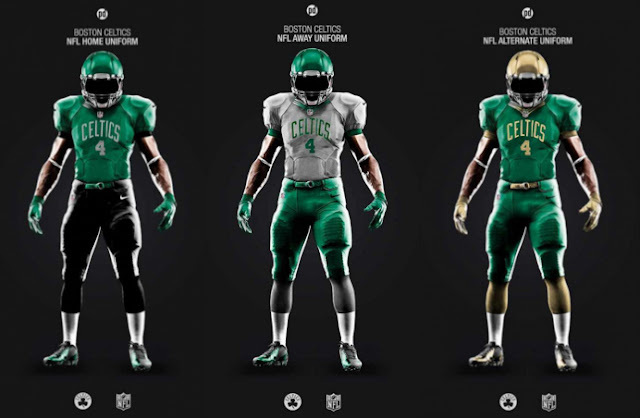 Which of these Celtics NFL uniforms do you like best? 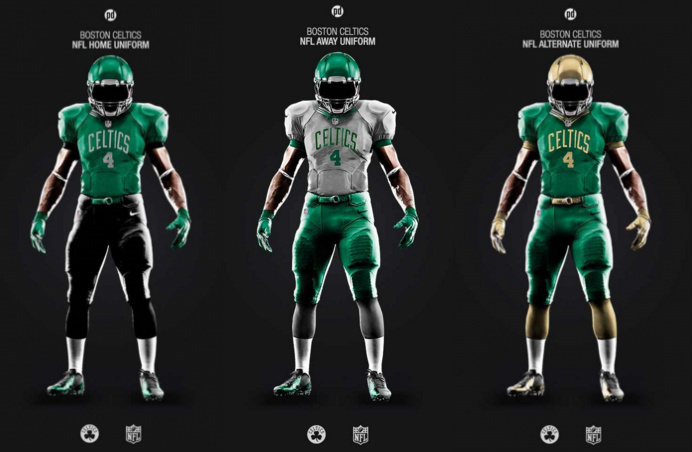 I think I like the grey one in the middle the best, even though it's reminiscent of the Celtics horrible short-sleeved jerseys from last season. 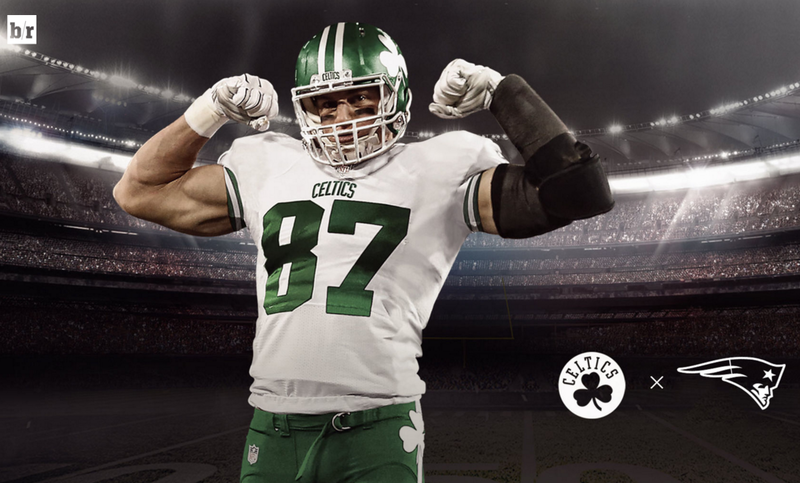 I'd also like to see a Red Sox-Patriots mashup, the colors would work a lot better.